Presidents Academy is a three-day training initiative for undergraduate Chapter Presidents. Here, these important chapter officers learn and share best practices in management and leadership through self-assessments, keynote presentations, and individual coaching to help each attendee learn more about his specific strengths and abilities. 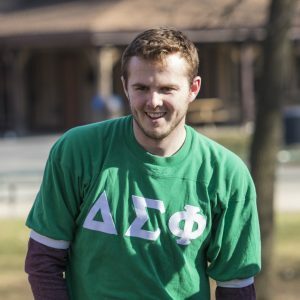 Program curriculum also includes Delta Sigma Phi policy and operations, with Chapter Presidents learning how to organize an effective chapter leadership team, enable and inspire others to act with courage, and take advantage of campus and Fraternity resources to be efficient and successful. Summarize how their respective chapter supports the Delta Sigma Phi Fraternity Vision. Opens in November 2018. All Presidents must register prior to the communicated deadline. Groups that register after the deadline will be subject to covering the expense of increased flight costs. Cancellation prior to or the day of the program will result in the chapter paying for any travel costs incurred by the Headquarters, as well as non-refundable program expenses.